Believe it or not, spring is just about upon us, and with the change of seasons will come storms and strong winds. Though you may still have your snow shovel ready to go, severe spring weather events are just around the corner. Dangerous weather often occurs without warning. This is a great time to double-check your safety knowledge and preparations for the coming storms. One of the very best measures you can take to protect your family during severe weather events is to purchase a NOAA-approved weather alert radio. It is bad enough when severe weather strikes without warning, and even worse when it does so in the middle of the night. A weather alert radio will go off automatically whenever there is a severe weather warning for your area, providing valuable time to take shelter or make preparations. These radios also have a battery back-up feature that will keep them working even if the power goes out. Basic models of are reasonably priced and available at several local stores. Be sure to look for the NOAA National Weather Service emblem on the radio. Another great way to be prepared is to learn basic CPR and First Aid skills. Hopefully, you will never have to use them, but better safe than sorry! Macochee Joint Ambulance District residents can take American Heart Association CPR and First Aid classes for free through our nationally-certified public safety educators. Register for one our upcoming classes online at www.macochee.us/cpr today! A severe thunderstorm watch means severe thunderstorms are possible in the area. A severe thunderstorm warning means severe thunderstorms are occurring in the area. Stay tuned to local radio and TV stations or a weather radio for further information. A tornado warning is issued when a tornado funnel is sighted or indicated by weather radar. Whenever there is a tornado warning, you should take shelter immediately! Make a Tornado Safety Plan: Long before tornado watches and warnings are issued, however, you should prepare for your family’s safety. Take a few minutes with your family to develop a tornado emergency plan. Sketch a floor plan of where you live, or walk through each room and discuss where and how to seek shelter.Show a second way to exit from each room or area. If you need special equipment, such as a rope ladder, mark where it is located. Make sure your children know: What a tornado is; what tornado watches and warnings are; and how to take shelter, whether at home or at school. Keep it safe out there, and don’t let severe spring weather catch you with your guard down! 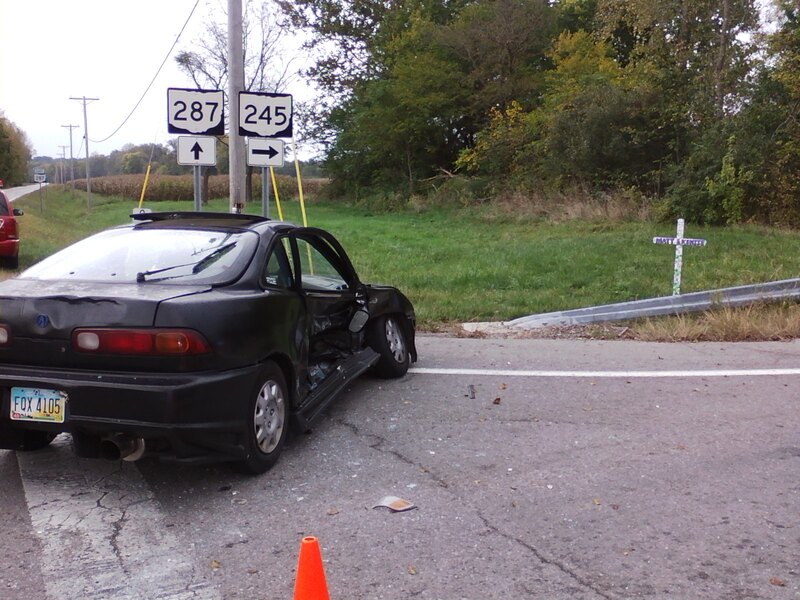 October 4th, 2013 (West Liberty, OH) – A Macochee EMS ambulance crew responded to a two-vehicle collision at approximately 3:00 p.m. today. 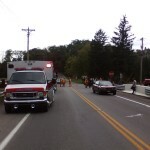 The accident occurred at the intersection of State Route 245 and County Road 1 (Ludlow Road), in front of Macochee Castle. The accident involved two passenger cars, one with three occupants and the other with only a driver. All of those involved in the accident declined treatment and transportation, and none appeared to be injured. Ludlow Road south of the intersection was temporarily closed, although SR-245 remained open to traffic. 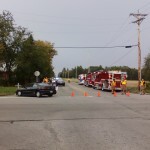 Also responding to the incident were the West Liberty Fire Department and the Highway Patrol.